For those of you who bake would know that a perfect loaf of bread is the result of perfectly kneaded dough. While it’s not always possible to achieve perfect results from your hands every time, that’s when a stand mixer comes in to take charge. However, the abundance of choice may drive you crazy. Thus, to make your lives easier, we have found out the 10 best stand mixers for kneading bread dough. Check them out below. Alright, so why did the KitchenAid KSM150PSER Artisan get the top spot? Well, there are plenty of reasons, but one thing is for sure, it is certainly the BEST! If you have had stand mixers before, you’d already know the reputation of KitchenAid in stand mixers, and this one here is no exception to the company’s legendary products, which is why it is our top pick. Coming towards its performance, unlike a lot of stand mixers, KitchenAid Artisan can handle both light and heavy bread dough equally well. You just have to knead the dough in the mixture for like 10 minutes, and with its 59 touchpoints per rotation around the bowl, the result will be smooth and flawless bread dough holding up together so well that you wouldn’t even find any scrapes hanging on to the bowl. The mixer offers over 15optional paddle attachments, so you don’t just have to restrict yourself to the bread dough but can make so many other things as well, be it chocolate chip cookie dough, cake batter or buttercream. Four attachments come with the package that includes a flat beater, dough hook, wire whip and pouring shield. The one attachment that stands out from the rest is its whip attachment. You will not find any other mixer that can fluff up the eggs and egg whites like this mixer does and that too at a much faster pace. So, if you fancy making pavlovas or meringue pies, this paddle attachment is going to help you make the best meringue ever. 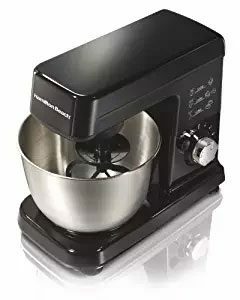 KitchenAid Artisan needs 325 watts of power to operate, which is not that high in comparison to a lot of other high performing stand mixers so that you can conserve a lot of power too. But, its low wattage doesn’t mean it that doesn’t perform well because the performance of the mixer is dependent upon its motor which is pretty powerful. You can easily knead the dough for 4½ bread loaves at a single time. With its ten speed levels, you can mix up just about anything. However, there is one shortcoming to be aware of. The mixer does not have overload protection. Therefore, when you have to set it on high speed for some heavy dough, you have to keep giving it a break now and then to avoid the motor from wearing out. Another thing that we like about KitchenAid Artisan is its straightforward and plain design with more than 40 colors to choose from. The splash guard feature on the mixer doesn’t let any ingredients get out of the bowl. You can easily lock and unlock the bowl through its handle for keeping it firmly in place, and the tilting head makes sure all the ingredients are well incorporated. 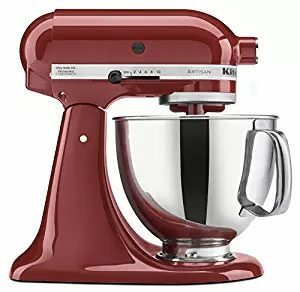 KitchenAid Artisan also offers a 1-year warranty so if your mixer doesn’t work well or has any other functional issues; you can easily get a new replacement for it. The customer support of KitchenAid is also exemplary. You can reach out to them through email, phone or live chat in case you need any help and you will get quickly responded. KitchenAid Artisan is hands down the best stand mixer that you can find for your bread dough or for any dough for that matter. The mixer has everything that you need and maybe a bit more. The rock solid motor of the mixer makes sure you get the optimum performance every single time, and the low wattage makes you save up on your electricity. Cuisinart has been providing high-quality kitchen gadgets for the last 30 years. Hence, it should be no surprise for you to see it on our list. This ultra big machine features enough capacity and functionality to handle all of your mixing jobs without any problem. The mixer has sufficient wattage to mix up the heaviest dough within minutes for you. You can even mix a double or triple of your recipes in this huge mixer. The mixer is constructed quite robustly with its resilient die-cast metal material. The Cuisinart SM-55 uses a mighty power of 800-watts for efficiently mixing everything in huge quantities. The mixer features 12 different speed settings for multiple recipes. It also comes with a countdown timer of 15 minutes and an auto shutoff option for achieving accurate results. You can start off with the slow-start function that is specifically designed to avoid the mixture or ingredients from splashing or splattering all over the place and then you can go all the way up to the top speeds. There is an ultra-gentle fold function as well for mixing very subtle ingredients. Just like the KitchenAid Artisan above, Cuisinart SM-55 too has a tilted-head that mixes everything evenly. The usage of the mixer is pretty simple. The fixing of the bowl and the attachment of the paddles are also quite a doddle. The paddles that come with the mixer include a mixing paddle, a whisk, a dough hook and a splashguard. The dough hook kneads up the flawless bread dough every single time – the flat mixing paddles make sure that everything is mixed completely and the whisk attachment efficiently aerates the mixture. All of the accessories are made to reach every corner of the bowl for not leaving any unincorporated ingredients behind. However, the whisk attachment might not be able to fluff up your mixture as efficiently as the KitchenAid Artisan or a few other high performing mixers for that matter. And secondly, you might find the plastic gears of the mixer to be a little fragile to be handled with comfort, so you have to be careful with those. The mixer also features three different power outlets to which the attachments are linked. The food processor and blender are linked to the high-speed power outlet. The citrus fruit juicer is attached to the mid-speed power outlet. And lastly, the attachments for grinding meat and making pasta are linked to the slow-speed power outlet. All of these add-ons are connected at different spots on the machine in accordance to their power outlet. Using these attachments, you can carry out almost all of your kitchen tasks easily. This means you don’t have to buy any other kitchen equipment besides Cuisinart SM-55 with all of its accessories. Cool, isn’t it? Lastly, the mixer offers a product warranty of 3-years and a motor warranty of 5-years, which means once you have invested in this machine, you are going to be worry-free for many years to come. Cuisinart SM-55 is one of the most versatile and powerful stand mixers available in the market. With its huge capacity of 5½ quart, you can even mix up threefold batches of dough in it without fail. You can always purchase the multiple additional attachments for helping you with the rest of your kitchen chores without requiring you to use other equipment at all. The whisking part may not be that impressive, but it’s still certainly not bad. 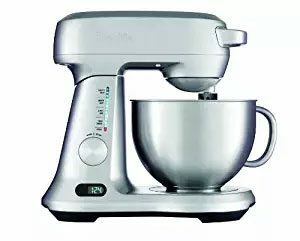 If you are a professional home baker who has to keep mixing big batches frequently, then this mixer is surely going to be a great addition to your kitchen. The mixer features motor of 300 watts, which is sufficient for both light and heavy dough mixing. Due to the planetary action feature of the mixer, the attached paddles cover each and every part of the bowl for thorough mixing. But, you may need to scrape the sides of the bowl in some cases. Otherwise, it works just fine. With its six mixing speeds, you can use it for a variety of things, and it gives you accurate control at all the speeds. The mixer stays in its position while in use due to its non-slip feet, and its tilting makes it easy for you add up the ingredients by lifting it up. The mixer also features splashguards for avoiding the mess in your kitchen. The Hamilton Beach also has a special fold setting that lets more air get into your mixture. You can use this option for mixing the egg whites or whipping up the cream in only a few minutes. It even has an added control for dry ingredients for controlling the mess. The attachments that come with the mixer include a dough hook, a whisk, and a non-stick flat beater. 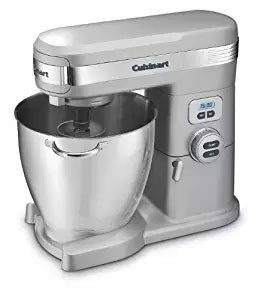 This mixer is especially excellent for mixing cookie dough.One more great news for you is that it is not just easy to use but equally easy to clean as well. The stainless steel bowl and all the paddle attachments can be washed in a dishwasher. Hamilton Beach 63325 is a perfect stand mixer for you if you are on a budget. The mixer is packed with almost all the features of a high-end mixing bowl at a very reasonable price. If you are looking for something to be used as everyday kitchen equipment, then you ought to give it a chance. Another one from the celebrated manufacturer KitchenAid is the KV25GOXER which is ideal for professional level bakers. This amazing stand mixer with a power of 450 watts can handle any sort of mixing; you just name it. The machine is capable of yielding large batches effortlessly, resulting in saving up a lot of your time. The mixer comes with a wide-mouthed 5-quart stainless steel bowl which is very easy to be removed and placed back by lifting it from its handle. The bowl’s handle features an ergonomic design for you to snuggly lift it up without feeling too much pressure on your hands. The bowl and attachments are easy to clean and are dishwasher safe. The usage of the machine is pretty easy and hassle free, but the machine is prone to get overheated after longer periods of continuous usage and gives off a burning stench. It doesn’t just happen while mixing heavy dough; it can happen on an empty bowl as well. So, make sure not to let it run continuously for very long. One of the standing points of this machine is its mixing action in which the beater spins clockwise as the shaft spins counterclockwise. This feature helps in reaching all parts of the bowl for thorough mixing. The mixer has 67 touch points for each rotation. The mixer offers 10-speed settings that can be used for a multitude of purposes other than just mixing bread dough. The attachments that come with the mixer include a dough hook, a flat beater and a wire whip which are adequate for almost all kinds of recipes that need the use of a mixer. You can also get additional paddle attachments that are sold separately. Dough may roll up the dough hook. For those of you in need of a professional-grade stand mixer for kneading huge batches of bread dough, KitchenAid KV25GOXER is the one designed specifically for you. With its multiple speed settings, huge capacity, powerful motor and multiple paddle attachments, none of your recipes can ever go wrong. Next on our list is the strong and sturdy Breville BEM800XL stand mixer that only takes a total of 10 minutes to prepare a batch of fresh, flexible, and smooth bread dough. For those of you who crave perfection in their dough every single time, this machine would work wonders and is surely going to be your favorite kitchen pal. The package of the machine contains a dough hook, a wire whisk, and a standard paddle. All of the attachments work perfectly well and yield great results. The machine’s package also contains a flexible edge beater that ensures that every last crumble and ingredient is removed from every side of the bowl. It also comes with a splashguard to avoid the splattering of anything. In addition to bread dough, the mixer is equally good for all other types of dough. And while mixing up dry ingredients, you just have to run the mixer on low speed so that you do not end up creating any sort of mess anywhere. However, while mixing the cookie dough, the mixer may leave some butter on the sides, which you’ll have to scrape off and mix again. There are 12 mixing speeds featured on this amazing machine along with a pause feature for temporarily stopping the mixer. The mixer also offers a tilt-release button for easy removal of the bowl from the stand for the addition of further components. This stylish mixer also features a LED screen on which you can set 10 minutes on the timer. It also displays your designated mixing speed on which it’s running. Once you turn the timer on, you do not have to watch over it as it automatically shuts down when the time is over. The company offers a warranty of 1-year that defends you against all sorts of damaged or malfunctioned parts. The customer service can also be reached in case of any issue via email or phone. And if you plan on seeing any recipes, you can check them on their website. This outstanding mixer machine by Breville is an ideal example of a stand mixer at its finest. With its multiple features, you can carry out any task efficiently and easily. Its entire features join to give you the perfect dough every time. This machine definitely deserves a chance by you. Yes, that’s right, here’s the third one from KitchenAid. Please don’t think that we are biased towards KitchenAid but we can’t help it that they produce awesome mixers every time. Well now, coming towards it, this one is a basic and yet an impressive stand mixer from the company’s classic plus series mixers that are famous for their efficiency and performance. 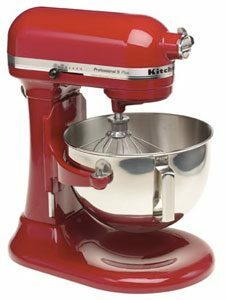 This mixer, like KitchenAid Artisan on the top, also features 59-point planetary action that ensures a smooth incorporation of all the ingredients without leaving any residue behind. The mixer takes only a few minutes to knead a batch of smooth and shiny dough. The mixer comes with coated flat beater, coated dough hook, and a wire whip. The wire whip also works exceptionally well and fluffs up the egg whites up to many times their original size in a very short time. The mixer’s motor uses 275 watts of power, making it powerful enough to knead the dough requiring 8 cups of flour without any problem. However, the machine does have an overload issue, so you have to be meticulous about it. Otherwise, you will end up burning the motor. Another downside is that while mixing the cookie dough, you may find some of the butter stuck on the sides of the bowl. 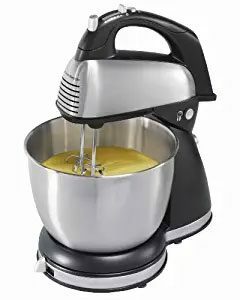 The mixer features 10-speed settings for mixing as per the recipe’s requirement, and it also offers additional attachments that you can buy separately. Like all other on our list, it also has a tilt-head design for easily accessing the bowl. And lastly, it comes with a 1-year warranty against defects or malfunctions. Includes a flat beater, a dough hook, and a wire whip. Lacks some advanced features due to being a basic design. For those of you who want something basic with great performance then this one would be the perfect choice for that. This mixer doesn’t come with many extra features but the main thing that it’s supposed to do, i.e. mixing/kneading, it does that extremely well. So, if you want your basic mixing needs to be well taken care of, choose this mixer. Another professional grade high powered stand mixer to make its place into our list is the Cuisinart SM-70. This stand mixer is quite a monster and can handle even those tasks that other mixers simply can’t. And its huge capacity can accommodate double to triple batches at the same time, making it an ideal choice for all the professionals. Like its other model mentioned above, this one is also pretty robust and durable because of the die-cast metal construction. The mixer features an extremely powerful motor of 1000 watts that makes it impossible for anything to go unmixed. For your ease and convenience, it also has a handle that make lifting it an easy job. Apart from everything great, the machine does have a drawback as well in the form of huge size and heavy body. If your kitchen is small, you might have a problem placing it on your counter as it would eat up too much space. Secondly, this machine is also prone to overheating, so be careful while using it. The mixer features 12-speed settings along with an auto shut-off timer and a countdown timer of 15 minutes. The multiple speed settings and the splashguard combined let you mix everything without splashing it around. With the auto shut-off timer, you can be worry free about turning it off and can carry out other tasks meanwhile. The attachments of the machine include a dough hook, beater, mixing paddle and a wire whip. It also comes with a recipe booklet so that you can try a lot of new things with your mixer. Just like the SM-55 above, this model also has a power unit with three power outlets for attaching the additional separate accessories for a number of other tasks. 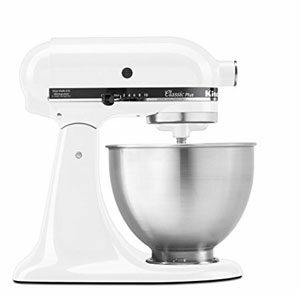 This mixer takes the kneading and mixing to next level with its powerful 1000 watts motor and 12-speed settings. And the huge capacity lets you make double to triple recipes at a single time. It is pretty huge though, but the kind of features it offers can easily make you forget about the size. Whether you run a professional or a hobby baker, this monstrous mixer is going to make a perfect kitchen companion of yours. Another great mixer for everyday use that doesn’t require you to pay a hefty amount on it is the Hamilton Beach 64650 stand mixer. This machine is quite efficient for its price and can mix up all types of dough very efficiently. Having trouble with a sticky dough? No problem! Put it in this mixer and let it get kneaded for a few minutes and see the magic happen in the form of smooth elastic dough you could have only imagined of. Do not be fooled by its meager price as its price has nothing to do with its extraordinary performance. The mixer is versatile enough to not only be used for kneading but a lot of other purposes as well. You even have the option of removing the mixer from its base for getting quicker results. The mixer features a power of 290 watts, which is in fact too good for its price. The power is the reason you can mix up a bit heavier dough as well without putting too much pressure on it. The 4-quart stainless steel bowl of the mixer has enough capacity to accommodate the complete batch of your bread dough or a little more as well. The machine offers 6-speed settings and a QuickBurst button that let you customize your beating according to your requirements. It also features a Bowl Rest mixer stabilizer for keeping the bowl from sliding anywhere. And the attachments that come with it include traditional beaters, dough hooks and whisks for making your cooking less time-consuming. Apart from everything else, you might find setting the mixer into the stand to be a bit fiddly task. So, you have to be careful with it. Secondly, it would have been even greater if the dough hooks were a bit larger. Nevertheless, they still do the job pretty good, so it’s all fine. This amazing stand mixer is a combination of affordability and efficiency. Hamilton has done a great job in managing to provide almost all the high-end specs in a budget stand mixer. All of these awesome features for such a small price make it a total steal. Next is the Sunbeam 2371 MixMaster Stand Mixer that will be a huge help in managing all of your prep work in the kitchen. This machine is perfect for your daily tasks that include making bread dough, cookie dough, cake batter, cake frosting or just about any other thing that requires kneading or mixing. 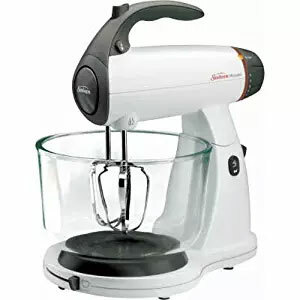 The mixer is quite affordable in price and yet features a powerful motor of 350 watts. The machine offers 12-speed settings for achieving the precision in results every time. The high power and speed settings of the machine join each other to produce impeccable results every time. For avoiding the unnecessary splash, the mixer features a soft start mixing function that ensures there is going to be no mess involved. There is also a burst-of-power feature that gives an extra power flow for thorough and consistent mixing. However, the mixer isn’t that great for kneading very heavy dough and would cause the motor to lag. The attachments that come with the mixer include dough hooks, beaters, and whisks. All of the attachments are designed to provide maximum reach to every inch of the bowl, and all of them are dishwater safe. The mixer package also includes two glass bowls of sizes 2 quarts and four quarts being used as per the requirement. The mixer carries a very convenient and visually pleasing design. The beaters and mixer head are fixed in such a position that it leaves some room for cozily adding more ingredients in a while mixing all at once. The mixer features a 3-way mixing action in which the mixing bowl spins automatically, and both of the beaters rotate individually, creating synchronized churning action. Includes beaters, whisks, dough hooks, and two glass bowls. Dishwasher safe bowl and attachments. Glass bowls need extra care. Doesn’t work that well with heavy dough. To sum it up, we can say that Sunbeam 2371 is an excellent machine that is super-efficient for taking care of all of your day-to-day tasks. The machine’s ergonomic design is easy to handle while using manually, and its multiple features ensure that your bread dough is kneaded to precision. The last one is again from Sunbeam, and it is yet another great choice for you if you want to go easy on your pocket but hard on the performance. Sunbeam FPSBHS0302 is a very convenient and versatile stand mixer that will give you a lot of usage options for making a number of multiple recipes besides making excellent bread dough. You can use it both manually and as a stand mixer. 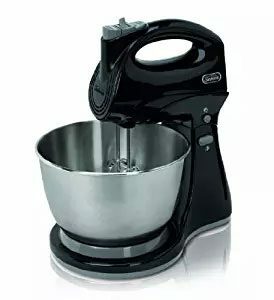 When used manually, both of the beaters rotate individually, and in the case of using it as a stand mixer, the bowl starts spinning automatically. Pretty convenient, right? The mixer features 3-way mixing action for the ingredients to get thoroughly mixed. 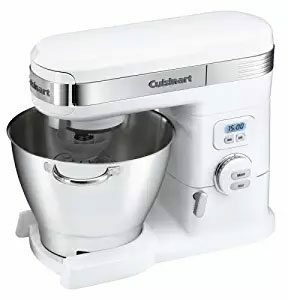 The 250 watt motor of the mixer has adequate power for taking care of your everyday usage, and its 3-quart stainless steel mixing bowl has enough volume to knead a single batch of dough impeccably. It is also pretty simple to take out the mixer from the stand for using it manually. You just have to push the release button, and it will come off. Although it is great as a stand mixer, it may not be able to mix up the ingredients at the very bottom of the bowl, so it is advisable to use it both ways for every recipe to achieve thorough mixing and perfect consistency. Also, you may find a little delay with the motor while mixing up the theheavy dough. Nevertheless, it is great for making not only bread dough but cake batters, cookie dough, brownies, buttercream, whipped cream and so much more. Dual-function stand and hand mixer. Includes chrome beaters and dough hooks. Heavy to be used as a stand mixer. Buttons are difficult to push. This one is another pocket-friendly option for our readers that are on a budget. This machine is capable enough to help you with your daily mixing needs, and it kneads up the bread dough to perfection. With all that being said, this mixer is totally worth a try. Alright, so the above list is good enough for all of you to find the one according to your budget and preference. However, a mere piled up list can’t help you choose the right one unless you have complete knowledge about the product. And unless you have complete knowledge, you won’t be able to determine what exact features you want. So, stick to your seats and keep reading. How to Choose Stand Mixer for Bread Dough? Bread making is entirely dependent upon how well it has been kneaded. And obviously, you’d know very well what hard work it is and how time-consuming can it be especially when you have to knead huge batches all from your hand. And then you have to experience the agony of strained wrists as well. To save yourself from all this uncalled for trouble, you need to get a stand mixer for making your lives easier. Once you buy one of these mixers, you are going to have a really good time in the kitchen because the beauty of these mixers is that they are not only perfect for kneading bread dough but can help you make almost anything you can think of. But since these stand mixers are relatively pricier, you have to be careful while choosing one because the security of your investment downright hinges on your selection. Therefore, before picking yours, please do chew over the below-mentioned points because they will help you choose the best of the best. The first thing that matters the most is your intended purpose for buying a stand mixer. Now, we all know that we are talking about bread dough here, but bread dough can be of different types, different quantities, and different consistencies. Another thing is if you want it for your personal use or you want it for your profession or small business. So, you see, at the end of the day, the decision of everything will come to your intended purpose. The types of recipes you make will help you decide this point. So, be very clear about it. The Second most important factor in deciding is your budget. Once you have set up your budget, it will become easier for you to narrow down the options that you can afford. Don’t get intimidated by very expensive and high-end mixers if you have a very small budget. You will find a lot of mixers at very affordable prices that are pretty efficient in doing their jobs just like the higher-end models. Though you might not get some advanced features in those but the main purpose you want one of these for, which is making bread dough, you’ll find them quite effective at it, for example, the Sunbeam FPSBHS0302 or Hamilton Beach 64650. Ok, so the question here is, does it matter what brand name you decide to go for? For other things, it might not matter as much, but when it comes to a stand mixer, brand name does play a major role. Like for example, KitchenAid is a renowned brand for its specialty in stand mixers, and people trust the brand because it honestly delivers what it promises. The brand name is important here because a stand mixer is not something that you would like to invest in over and over again, and mind you, they are costly. Therefore the last thing you’d want is to go for a mixer that is obscure and produces horrible results with just a small difference in price. You don’t have to worry even if you are on a budget because that certainly doesn’t mean that there aren’t any inexpensive branded stand mixers for you. The list mentioned above is proof of it as we have included mixers from every price range so that every one of you can find one from here. And all of them are loaded with all the necessary specs. This point might not be important for some people, but for those of you who need a mixer for frequent usage and for heavy dough like professional bakers or just anyone who has to use it recurrently on everyday basis and are also willing to spend a hefty amount on it, then it’s better that you go for some really tough and sturdy construction material like the die-cast metal. But, if your usage isn’t that frequent and you just want it for lighter tasks, then other materials would work just fine for you. Also, you know the size of your kitchen counter very well. Don’t buy something that wouldn’t fit your countertop and would become a cause of nuisance later on. As you saw above, these mixers come with varying wattage that can range from very low to very high. The deciding factor here is your purpose again. Now, if you want it for your day to day use at home for making bread dough that is not too heavy, you can start from as low as 250 watts motor. But, if you can afford to buy a mixer with higher wattage then why not? – It will also give you the liberty of mixing up a little heavy dough, or other forms of hard to mix ingredients like cookie dough, without any problem. However, if your usage requires some really intensive kneading, we mean the heaviest dough, then the minimum power you need is 400 watts. Although the higher, the better, but make sure not to select one below 400. It goes without saying that the size of the bowl is again totally reliant on your usage and your objective for buying the mixer. But, for a general rule, those of you who are getting a stand mixer for home use and single recipes at a time then you can select any size starting from 3 quarts. But, if you want it for kneading double to triple batches at a single time then you need a bowl that is at least 5 quarts in size or above. Do not get a size that’s smaller than this. The large size is never a problem, but the smaller one can seriously be. As the times are changing, more and more advancements have been taking place in everything be it cellphones, laptops or even the kitchen equipment. That’s right! So now, a lot of manufacturers have been introducing some really eye-grabbing extra features in their stand mixers for making your experience with the product more convenient. Those additional features include countdown timers, splashguard, additional attachments, planetary mixing action, multiple speed settings, slow start mixing option, LED or LCD display, tilt-head design, ergonomic handle on the bowl and so much more. Fortunately, the good news is, almost all the stand mixers these days are coming with around 90% of these features, even if they are on the lower side of the price spectrum.While some of these additional features might not really be mandatory but it is advisable to find as many additional features as you can for making the usage simpler for you. Considering how big of an investment it can be, we totally get it that choosing the right stand mixer might be a really difficult decision to make for you guys. While you can find as many mixers as you want in the market, the sky is the limit, but the sanity calls you to cream off a few on the basis of the points mentioned above. Ultimately, it all comes down to your usage and your budget. So, only you are the ones who can decide the “best” one for yourself. We are certain that this guide and the product list would have cleared up all of your confusions and you must have taken your pick by now.